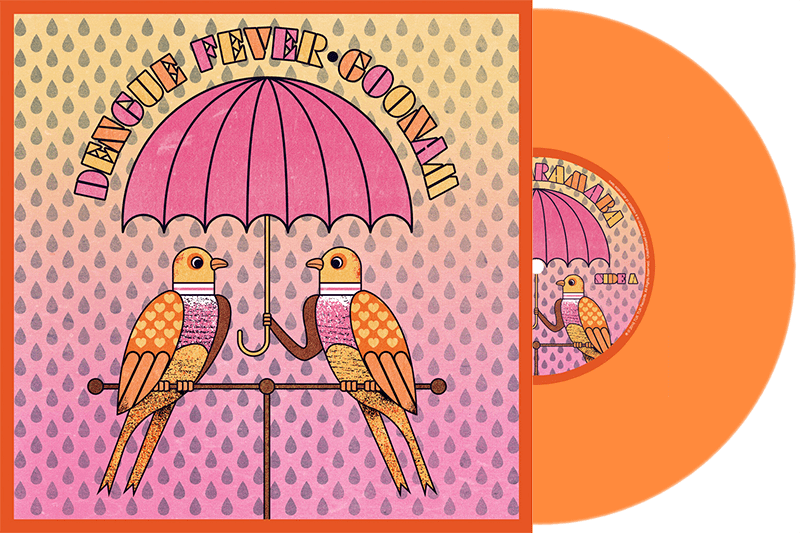 Dengue Fever vs Goonam: Record Store Day Release "Ganadaramaba"
This limited edition vinyl release includes covers we recorded of Korean psych classic “Ganadaramaba” and a new version of Dengue Fever’s “Integratron” performed by a collaboration of both Goonam and Dengue Fever. The vinyl includes a digital download card with a bonus track for download. The Record Store Day pressing is limited to 500 copies. Only available in stores on 140gm orange vinyl! These tracks are not available for streaming or standalone download. Made in the USA. Available on TUK TUK Records (TT009). Like many of life’s best moments, this one was totally random. 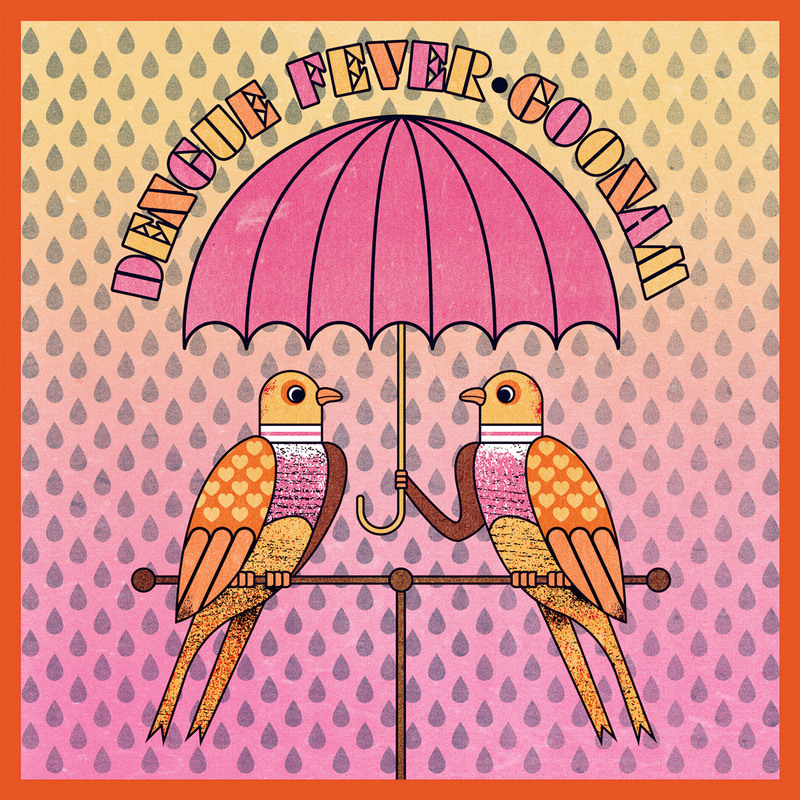 In January 2014, Dengue Fever started receiving emails about a song of theirs that was breaking in Korea. “Integratron,” off of their 2008 release Venus on Earth, had been picked up by SNL Korea and was being used in a recurring sketch parodying a popular video game. 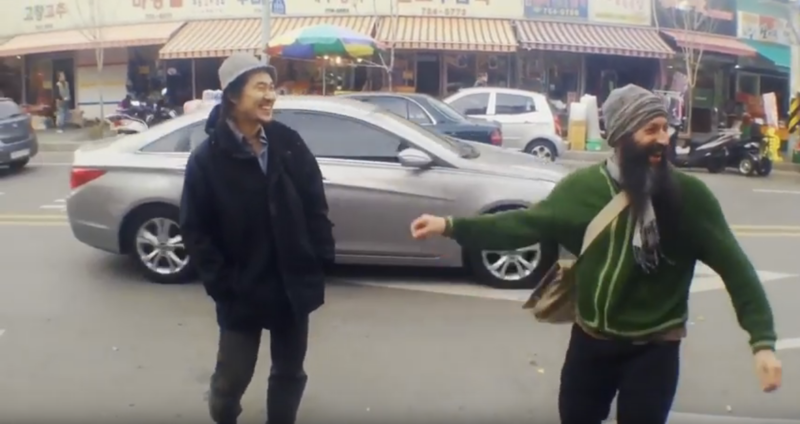 The sketch was a hit, and the song started to receive some notoriety. 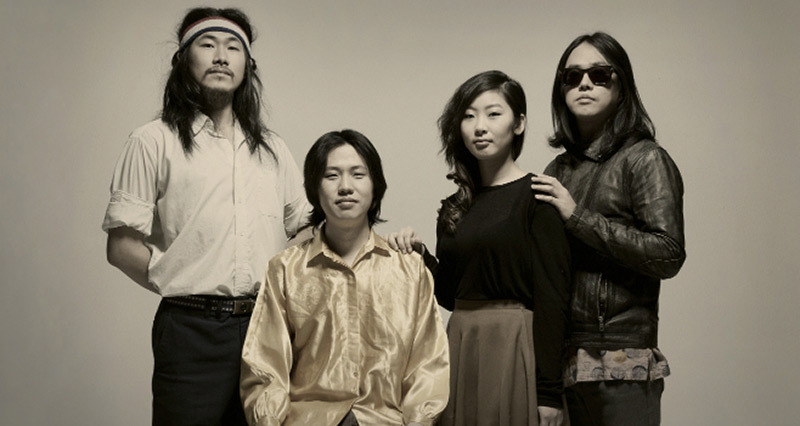 A few months later, Dengue Fever was contacted by Koki Yahata, who worked with Sungbae Lee at Cavare Sound to procure a grant from the Korean Creative Content Agency (KOCCA) for a cultural exchange between Korean and foreign musicians. 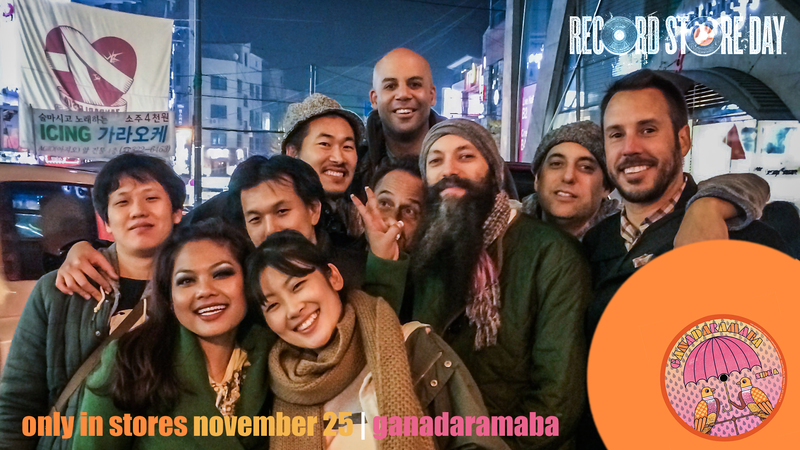 After the recording session, the collaboration came full circle as Goonam hosted Dengue Fever in November, with more shows in Seoul and Tokyo. 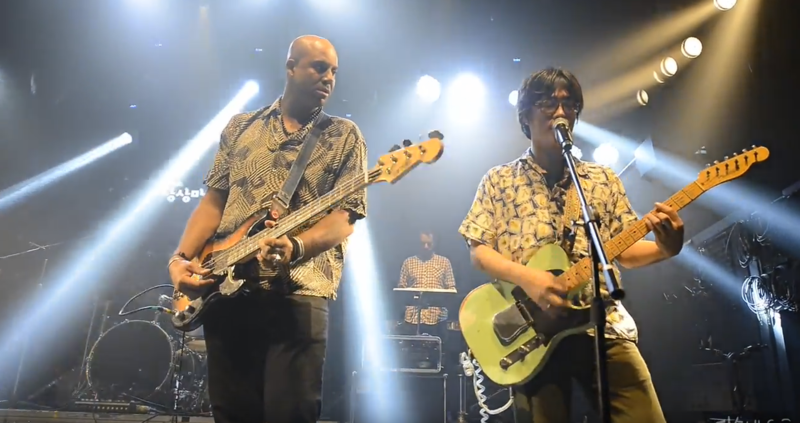 The bands were able to perform their collaborations live on stage and fully realize the intentions behind their collaboration. Now, finally, we are releasing something as unique and special as our experience. This 7″ release is more than just an album, it is a tangible momento of the creativity and love that existed in specific place at a specific time, that we can now share with you. We hope you enjoy. 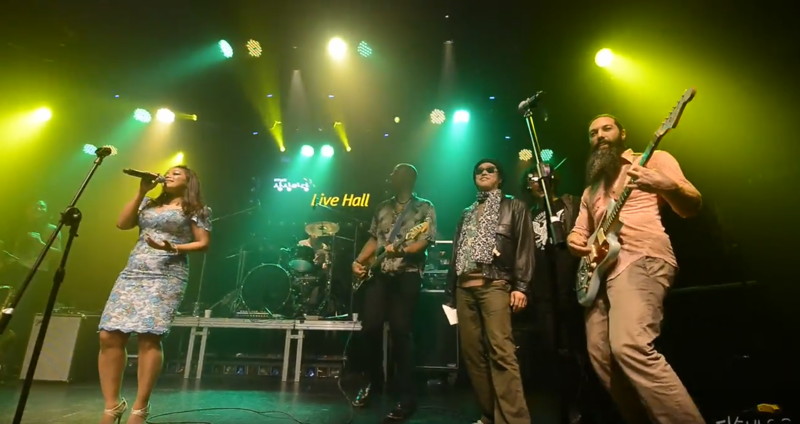 DENGUE FEVER is known for their unique hybrid of Cambodian rock, Afro grooves, surf & garage psychedelia. Their latest full length, The Deepest Lake, released on the band’s own TUK TUK Records, debuted at #1 on the Billboard World Music charts. Goonam, short for Goonamguayeoridingstella, is a quirky indie rock band whose name is supposed to mean something along the lines of “old man and woman riding a stellar car.” The band is known for their unique blend of retro-electro rock that crosses musical genres. We took a thousand photos during our time touring and recording together, we thought you might like to see some of them. Did you already grab your copy of Ganadaramaba on vinyl? First of all, thank you very much! Second, we bet you’re wanting to download those tracks now! Use the adjacent Dropcards widget and enter the code that came with your vinyl from a desktop or laptop computer. The download is a ZIP file, so only download to a mobile device if you know what you’re doing. Your download includes the original Goonam song “Going South” as a bonus track! We hope you enjoy! Want to pick up a copy? Use the official Record Store Day locator to find a participating store near you!